"Perfect!! Perfect! She looks like a goddess! Oh my goodness." This cover makes some of our forum members want to go to sleep. Can they just ditch this stupid concept once and for all and hire Sims or Meisel. 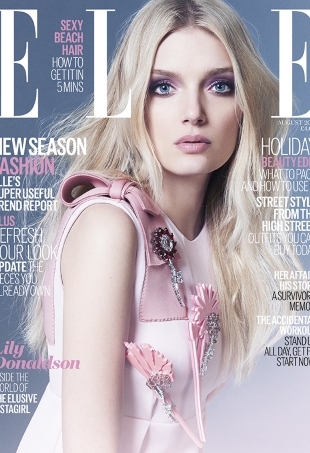 The British edition of Harper's Bazaar unexpectedly taps Naty Chabanenko for its August 2015 cover. "Is it surprising to me that she looks so boring? Nope, she always does!" This is absolute perfection. Quintessential Steven Klein and epic cast. Vogue Mexico took one step forward and four steps back with this one. Ouch! Viva la Gigi! Vogue Brazil hands its July 2015 cover to Gigi Hadid, making it the Maybelline ambassador's third Vogue cover this year. 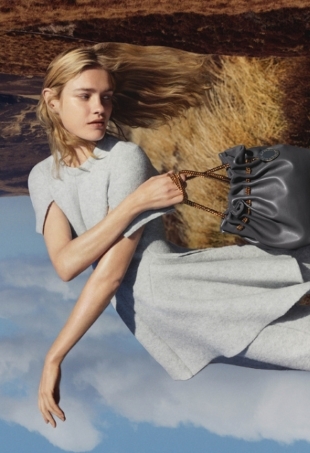 Stella McCartney welcomes back Natalia Vodianova for Fall 2015, but not all forum members are happy to see her again. Michael Kors welcomes Russian bombshell Natasha Poly as the face of his mainline collection for Fall 2015. A sultry Taraji P. Henson wows on W wearing a simple tee and jeans combo. Gigi and Bella Hadid show some sisterly love posing together on V Magazine's Fall Preview 2015 cover. 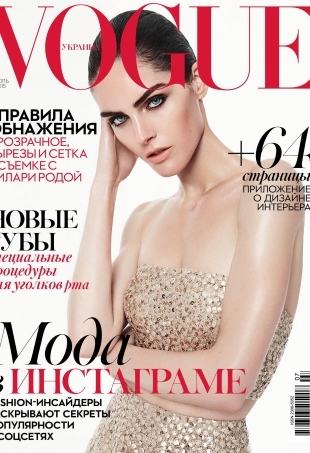 Vogue Ukraine goes minimal for its July 2015 cover featuring Hilary Rhoda.